The World Federation of Neurology (WFN) and the Austrian Neurological Society (OEGN) are pleased to announce to renew their partnership to invite four African colleagues to visit the Neurology Departments of the Medical University of Vienna, University of Graz, Innsbruck Medical University and University Hospital Salzburg, Austria. The OEGN was founded in 2000 and currently has more than 1,000 members. The OEGN represents scientific and professional interests: further education, the interchange of ideas, science and the interests of patients. The WFN was formed in Brussels in 1957 as an association of national neurological societies. Today WFN represents 120 professional societies in 120 countries in all regions of the world. The mission of the WFN is to foster quality neurology and brain health worldwide, a goal we seek to achieve by promoting global neurological education and training, with the emphasis placed firmly on under-resourced parts of the world. 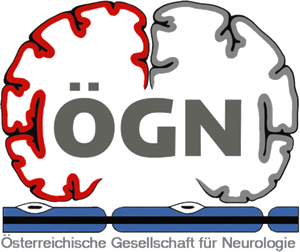 The OEGN would like to support the African Initiative of the WFN by inviting four African colleagues to visit the Neurology Departments of the Medical University of Vienna, University of Graz, Innsbruck Medical University and University Hospital Salzburg for a duration of four weeks. The purpose is to experience the Austrian medical system in an international environment, meet new colleagues and foster future cooperation. The visit can take place for 4 weeks in October 2018. The exact dates will be determined between the selected candidates and the host institutions. The applicant must be a qualified neurologist. To apply, applicants must submit their CV, a supporting statement, and a letter of recommendation from their Head of Department by Friday 1st June 2018 to the WFN Education Coordinator, Mrs Jade Levy by email jade@wfneurology.org.